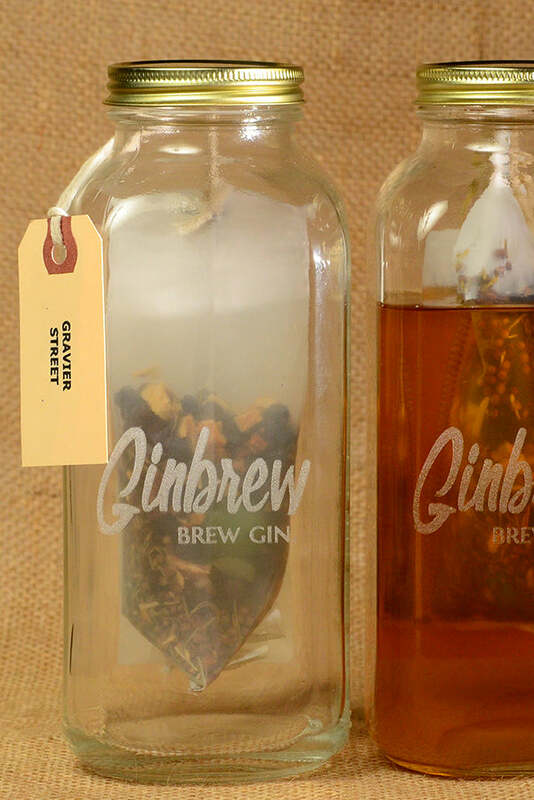 Ginbrew is a do-it-yourself kit containing everything you need to create your own bottle of homemade gin. Each kit comes with a botanical brewbag filled with our signature flavor, Gravier Street, a bright and citrusy blend with a strong juniper backbone and accents of lemongrass and mint. The compounding process is simple: leave the brewbag in the included jar, pour vodka into said jar, let it infuse for four days (or up to 7 for a stronger taste), then remove the brewbag and enjoy! Give Ginbrew as a gift, share it with friends, or enjoy it by yourself. Whatever you do with it, you will be proud of the complex, flavorful spirit you've created. When you’ve downed your first bottle, be sure to check out our other unique and delicious blends.